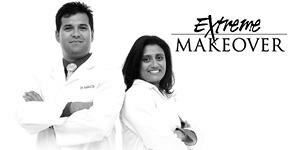 We see over thousands of patients each year and have performed many smile makeovers. 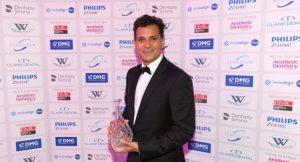 Dr Rahul Doshi established The Perfect Smile Studios in 1994 with the intention of providing world-class cosmetic dental care to patients in and around Hertford. All of the cosmetic dentists have many years of experience in the field as well as a warm and friendly manner to make even the most nervous patients feel at ease. “I cannot recommend this team enough. by having your teeth cared for by these professionals you join a family and they will always do what is best for you and I know you will be 100% happy every time you visit them. I had 4 veneers done 5 years ago and have been regularly attending for dentist and hygienist appointments ever since. 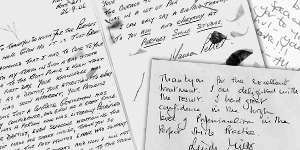 I trust them to do the best for me and I love my appointments as they are always so lovely” Joanne McCarthy, January 2018. Composite veneers are made from an acrylic resin which is then bonded on to your tooth. Composite veneers cost less than porcelain veneers making them an affordable option for many. Composite veneers generally have a shorter lifespan than porcelain veneers. This is because acrylic resin is less durable than porcelain. Have a look at our porcelain dental veneer options. 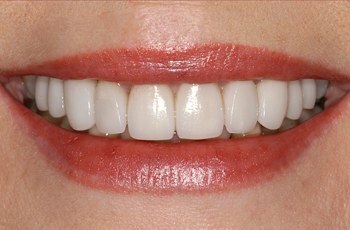 Our clients love our immediate composite veneers as they require little to no tooth preparation. Immediate veneers can usually be fitted in one appointment. We use only the best immediate veneers available: Edelweiss and Componeer. Pay for your veneers upfront or apply for one of our attractive finance packages. Click here to see our veneer price plans. Essentially there are three types of composite veneers that are available: Direct, Indirect and Prefabricated. Direct Composite Veneers: these veneers are made of filled resins and have a “plastic” appearance. These are made in the surgery directly onto your teeth. It only takes a single appointment to cosmetically enhance your teeth with direct composite veneers. State of the are nanotechnology allows us to create beautiful veneers in a day. Indirect Composite Veneers: these are made in the laboratory. When they are sent to the laboratory harder plastics can be used to produce longer lasting hardened composite veneers. They look and feel similar to porcelain veneers and are bonded to your teeth on a separate appointment in a similar way. Prefabricated Veneers For Teeth: These are pre-made and are chosen according to the colour and size required. They are made from a patented nano-hybrid composites using modern laser technology. These veneers are laser sintered and this allows these composite veneers to retain their lustre for longer than normal composite veneers. These veneers are often termed one day, same day, instant or immediate veneers. Which veneer type is best for me? After an in-depth discussion with you regarding your exact requirements, our cosmetic dentist will examine your teeth and the way your jaw functions. Thereafter they will plan a design for you and work out your most appropriate and suitable options. Your dentist will then discuss all the various advantages and disadvantages as applied to your unique situation. They will then help guide you to your best solution. The first initial consultation is free of charge.